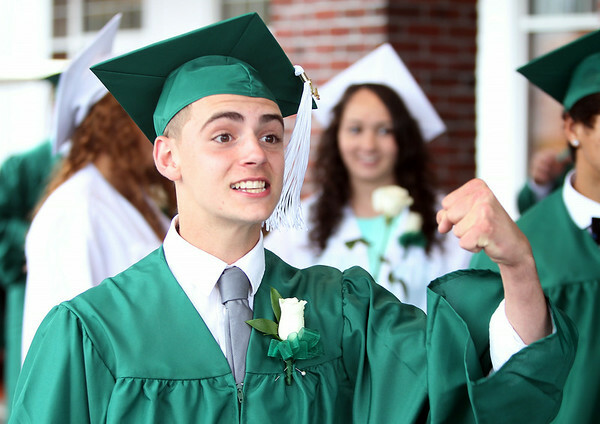 Salem Academy Charter School graduate Sam Copans pumps his fist as he catches sight of one of his teachers running through the rain before the start of graduation on Friday afternoon. DAVID LE/Staff photo. 4/13/14.